Hanoi (VNS/VNA) - Prime Minister Nguyen Xuan Phuc has demanded that all corresponding government departments, agencies and institutions to adjust policies as part of an “action-minded” government, to unburden Vietnamese firms of unnecessary business regulations, namely redundant business permits and categorisation. In the past month, the PM has requested the Vietnam Chamber of Commerce and Industry (VCCI) and the Central Institute for Economic Management (CIEM) to conduct research on business conditions in Vietnam, with emphasis on legislation and procedures that may be deemed obstructive to business development. Findings from this research must be submitted to the Ministry of Planning and Investment (MPI) and the Ministry of Justice (MoJ) by August 10. Officials from the two ministries will then compile a list of legal documents on business conditions that the VCCI and CIEM consider excessive, and work together with the Government Office so that the PM can receive a full report with detailed solutions for a better business environment by August 25. The move is considered necessary for a “government of action and integrity that nurtures development and better serves the people”, according to PM Phuc. A key issue that calls for the PM’s attention is that out of the current roster of 243 business branches and sectors that require legal permissions from government authorities, 16 business branches do not in fact need such permits, said Dau Anh Tuan, Director General of the Legal Department of the VCCI. For example, the logistics sector already consists of numerous sub sectors with their own business permits, and yet still requires its own permit. Such overlaps are both time consuming and hard to manage. This also applies to other businesses in the import – export sector that require a permit for every part of the production chain. This was further emphasised by PM Phuc at the Government’s regular meeting last July, where he commented that “these permits are proliferating to the point that businesses complain to no end, and they are the cause for further, more serious administrative problems”. The VCCI found that there are currently a total 5,719 business conditions, commonly referred to as permits, with the Ministry of Industry and Trade (MoIT) coming in first place, issuing 1,220 permits for 27 business branches under management and the Ministry of Construction (MoC) in last place with 106 permits for 17 business branches. Tuan said that out of the three main business sectors of trade, transportation and technology, the VCCI also found many other requirements that are obstructing market growth and business expansion. He gave an example of regulations requiring transportation companies to have a detailed business plan approved by the corresponding authority, or for marine shipping companies to have an established legal office in order to be given official business permission. Tran Huu Huynh, Chair of the Vietnam International Arbitration Centre (VIAC), said in an interview with the Government’s online newspaper that even though the Government and other departments have been making tremendous efforts in constructing the list of business permits in the 2014 Law on Investment, there are still deficiencies and a lack of practicality. "This is no longer the work of government administrative officials, but simply a matter of firms’ self management, which can be adjusted through market forces that do not require any governmental interference," Huynh concluded. Tuan went on to say that he was deeply impressed with the PM’s urging of government bodies in charge of business rules and permits to lessen the burden for Vietnamese firms. He did not consider the PM’s direction stemming from any previous agenda, such as Resolution 19 or Resolution 35, but rather from his own ideas, sense of action and leadership. "I am certain the PM and the Government’s Office are gearing up for practical and effective action to clear the path to business development," said Tuan. Nonetheless, Huynh felt that at present, there is still much to be done. He said the VCCI and CIEM’s research is limited to a number of ministries and business branches, roughly 25 percent of total business permits. 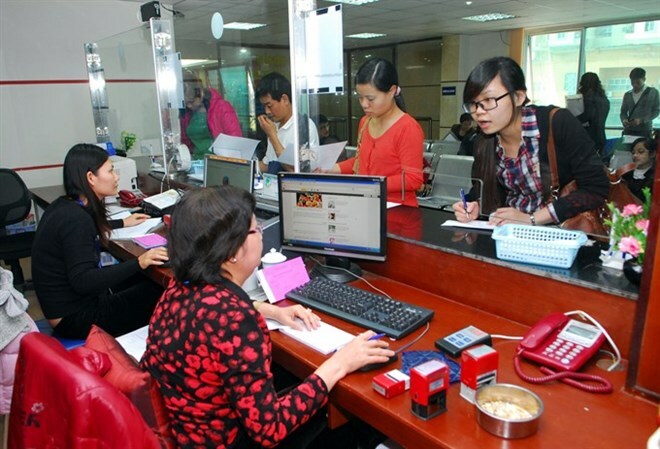 Huynh urged that there must be a comprehensive and thorough survey across all business sectors. Huynh also suggested there are hidden permits and legal loopholes that can cause difficulties for firms, which must be promptly discovered and dealt with to prevent future problems. Tuan added that there should be open discussions involving firms, economic experts and government administrators, in order to achieve complete and satisfactory solutions.